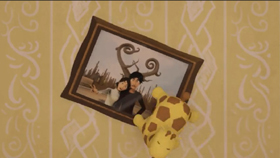 The story of the animation is about a woman and a man who recall their memories of love and relationship after conflicts between each other. 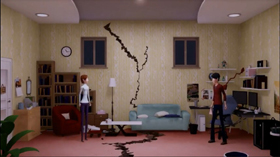 The animator uses a crack on the floor as a symbolic way to present the alienation between the two, and follows by changing the living environment to guide the development of the plot that creates a unique view of the world as a state of mind of the male and female. Graduated from National Taiwan University of Arts, Graduate School of Animation Art.One of his short film "Don't kill my Radish" was presented on 10th annual Vancouver Taiwanese Film Festival.